Thank you for bearing with me as I made it through one heck of a year. As I’m sure many of you are, I am excited about the idea of the fresh start that comes with the beginning of a new year. 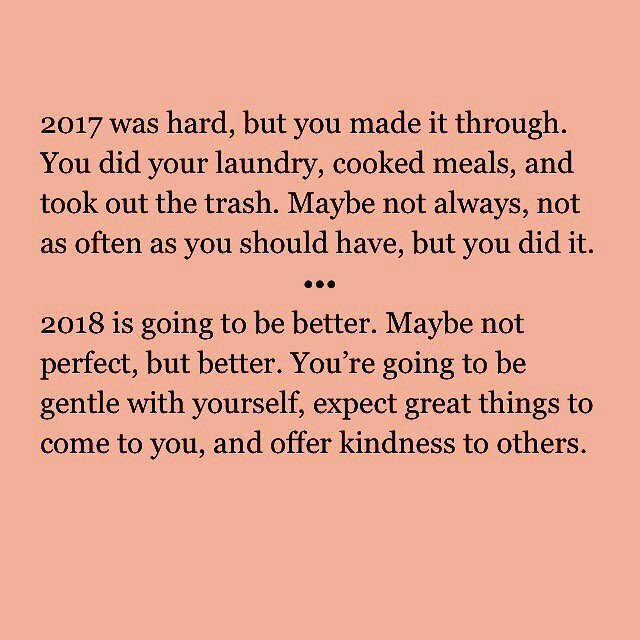 2017 was without a doubt the hardest year of my life from many perspectives. Personally, watching my baby suffer while dozens of doctors shrugged helplessly was torture, and the immense long-term sleep deprivation and putting my body through the process of relactation was physically demanding to say the least. On a wider scale, I witnessed firsthand the atrocity that took place in my sleepy town on August 12th and it really shook my belief in the goodness of humanity. Knowing that Charlottesville was chosen to be the starting point for a reinvigorated race battle was terrifying on one hand and incomprehensible on the other. I think it took me months after that day just to process what I’d seen, and I’m sure I’m only at the tip of the iceberg when it comes to understanding what’s taking place in our country and on a microcosm in my town. And just recently, hearing about the death of another local Charlottesville woman is devastating. I didn’t know her, but I know people who did and my heart hurts something fierce thinking about her. 2018 is a chance for me to hope for things to be better. As recently as last week, Wilson officially began eating “normally” (i.e. his tongue is now strong enough to eat 3 meals a day and snacks of solid food, whereas before he could only manage a few bites before quitting), and he’s been napping for much longer stretches since his tongue was re-cut a few weeks ago and his breathing drastically improved. (Cue the champagne!) For the first time in a while, I’m excited to be living in our farmhouse again and looking forward to the projects that come with an old house as opposed to resenting the time and energy it takes. So while I barely blogged at all in 2017, right now I’m feeling much more hopeful that with this fresh start will come a renewed focus on areas of my life I’d let slide over past months… putting energy into things like our farmhouse, relationships, my professional future, self-care, and so on. Stay tuned as I figure out where I’ll go from here. And in the meantime… let’s all raise a glass to ourselves. We all survived our own various struggles that came with 2017. Way to go, all of us. And something tells me that 2018 is going to rock. 2 New Chickens! Making Garlands Out of Greenery Family Update Nice to meet you!